When kicking backstroke I move in the opposite direction than I should, counteracting arms movement. So far no swim coach could tell me what I am doing wrong. I do ok with fins (short red zoomers). cCawl and breast strokes are no problem. My ankles are not very flexible, but still... thank you for your help. What you are describing, I have seen many times. There are two common causes and I suspect you are doing one of them, or a combination of both. I am going to assume that your body position is correct - by that I mean flat and horizontal with chest and hips near the water surface. Firstly, the kick for backstroke must come from the hip, so that the whole leg performs the up and down action when kicking. A common mistake is to kick from the knee, which can lead to a cycling type action. This almost always results in movement in the opposite direction, like you describe. Try sitting on the poolside, legs out stretched into the water and practice kicking. Use a small, shallow kick and watch to ensure you are kicking from your hips. If necessary kick with your knees locked out in an almost robot like motion, just to exaggerate the action and get a feel for it. This is obviously technically incorrect but it can sometimes help to identify and correct an old bad habit. As you get used to kicking from the hips in this position, relax the knees and ankles to allow for a slight bend and a relaxed kicking action. water surface with each kick to ensure that the kick is not too deep. You mention that you do not have very flexible ankles and that you do ok with fins. You may, in some ways, have answered your own question here. The fins provide good propulsion because they are flexible and provide sufficient surface area against the water as they kick. Therefore when you are kicking without the help of fins, your foot has to do its best to replicate the action of the fins. In other words, the toes must be pointed and the top of your foot (where your shoe laces would be) should be the part that generates the propulsion as it kicks upwards through the water to the surface. As your ankles are not very flexible you may have to bend your knee slightly more to compensate for this, to allow the top surface area of your foot to be exposed to the water in the correct way. Now, this may sound like I’m contradicting myself by advising you to bend your knees, but for someone that has limited ankle movement, you are going to have to adapt your kick to find a compromise. 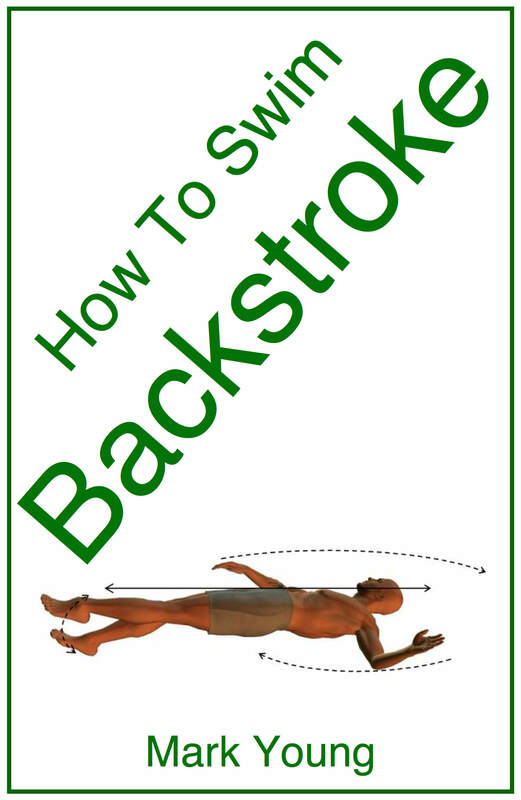 Either way, I hope by explaining some things to you, I have helped you to understand the backstroke kick a little better and this in turn helps you to identify some potential areas for improvement. With all this said, there is no harm swimming for periods of time with fins on your feet (including front crawl), as the action of the fins could help to increase the flexibility of your ankle joints.